If you’re an active person and you love all things related to movement and fitness, you know there are always risks involved. Arguably, there are risks tied to everything in life, so exercising is no different, but the injuries can make all the difference. Sports medicine is the bridge between injury and recovery. 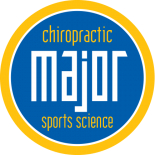 At Major Chiropractic, we implement prevention and recovery modalities such as sports medicine and sports nutrition to help you perform at optimal levels in the sports and fitness you love. In today’s post, we’ll touch on the benefits of sports medicine and rehabilitation services as wonderful options for fitness-related injuries. Professional athletes and fitness enthusiasts test the limits of their bodies, which regular people may not understand. There are ultramarathon runners running 100 miles on rough terrain with an outrageous amount of elevation gain in under 16 hours. There are also weightlifters, cyclists, and gymnasts that face intense training regimens day-in and day-out, with little rest and recovery periods. Their active recovery looks like an intense workout for some of us! With all the intense training, it can take a toll on the body and injuries are highly probable, and this is where sports medicine and rehabilitation services make the difference. Common injuries related to sports and exercise are sprains, strains, broken bones, and torn tendons and ligaments. They appear as acute and chronic from overuse and over exercising and just plain, unfortunate situations. 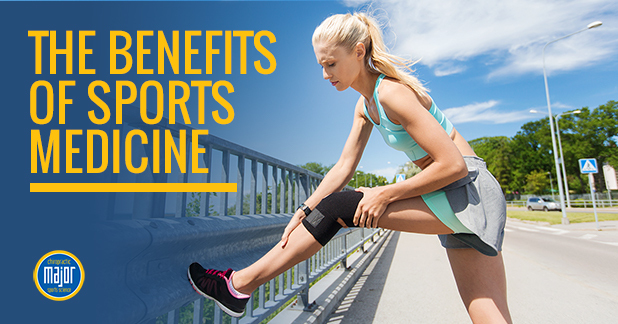 Sports medicine is beneficial because it can address a wide range of health concerns with a specialized focus on fitness, that other modalities may not use. As we discussed above, sports medicine offers exclusive care with doctors who are trained and more attuned to sports-related injuries, so they can offer a higher-quality of care with different treatment options than a traditional health practitioner. Athletes and fitness enthusiasts are hyper-aware of their bodies and, when injured, will do whatever it takes to recover and get back to the activity they love. Sports medicine is a great option for offering new and innovative treatment options including platelet-rich plasma (PRP) therapy and stem cell therapy. Sports medicine treatments can help restore and revitalize injured areas for increased healing and a shorter recovery period. Sports medicine is not only for the injured, but it’s a great option for those looking for the prevention of sports-related injuries. Injuries often occur out of a weakness in the body, and sports medicine identifies the areas of opportunity. Sport medicine practitioners can also provide instruction and advice in preventing injuries and avoiding re-injury. Athletes and fitness enthusiasts are always wanting to improve themselves, so naturally, they’ll look for ways to strengthen their abilities. Sports medicine is a great way for people to gain an edge in their sports. Sports medicine practitioners can customize training plans and implement programs to a person’s strengths and weaknesses, identifying places for improvement. Sports medicine helps prevent injuries and ushers a speedy recovery for athletes and is beneficial because it offers exclusive care, innovative treatment options, preventative care and maintenance, and heightened performance. 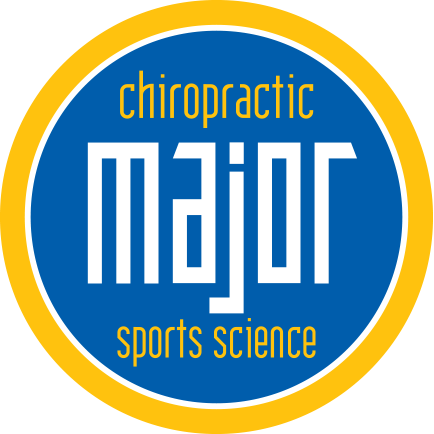 To schedule an appointment with a sports medicine specialist, call us today at Major Chiropractic!